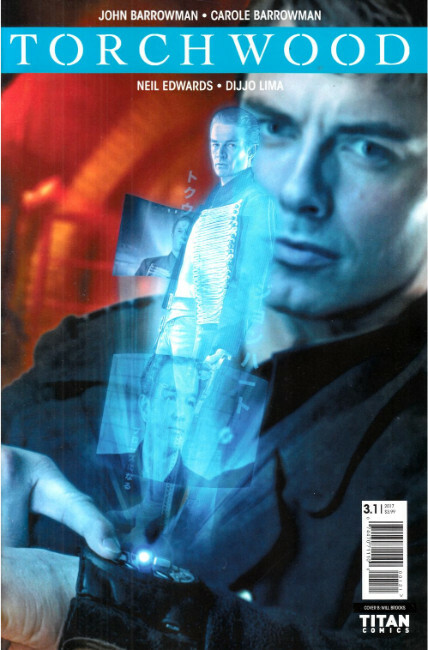 WRITTEN BY CAPTAIN JACK HIMSELF - JOHN BARROWMAN - AND CAROLE BARROWMAN, WITH ART BY NEIL EDWARDS (DOCTOR WHO, JUSTICE LEAGUE)! DOCTOR WHO SPIN-OFF TORCHWOOD IS BACK! THE OFFICIAL CONTINUATION OF THE SAGA! When we last saw Captain Jack, Gwen, and the rest of the new Torchwood team, they had just defeated an alien invasion in the Arctic... but missed a mysterious pod, buried under the ice, that held a seemingly familiar face. Now Captain Jack must battle his worst nightmare... or greatest daydream!